JPEG is probably the most popular extension for storing and transferring images. Many users prefer this format for sending photographs by email or uploading them on social networks. The reasons are obvious: JPEG can be opened with even the most basic image viewer, provides small size and decent image quality. The format is also used as output extension by many scanning and faxing devices. Using JPEG you can get a quick and small digital copy of a document. As this is a raster format, however, what you get is an image reproduction of the document. Not an actual text. This means scanned JPEG cannot be searched or edited. Depending on your area of work, this can be a considerable problem. For example, if you scan a certificate or an invoice that you need to make quick corrections to, the JPEG format will not be of much help. This entry was posted in Document conversion, Optical character recognition and tagged jpg, ocr, pdf on July 19, 2017 by reaconverter. DWF (Design Web Format) is an Autodesk extension usually attached to drawings representing architectural plans, building projects or product designs. The format was released in mid-1990s with the aim of improving accessibility for users who don’t necessarily know how to use AutoCAD but are part of creative teams responsible for designs. 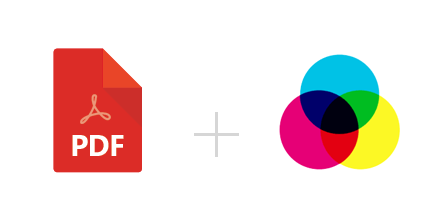 DWF files allow you to view, review and print design data. They can be single-page or multipage and are highly compressed, which means they are usually small in size and easy to transfer or store. However, most regular image viewers cannot open DWF files. They usually require some specialized software or a CAD program. This entry was posted in CAD conversion and tagged autocad, dwf, pdf, tif on April 20, 2017 by reaconverter. Do you a have a printed document and need to make a digital copy of it? Scanning is a quick option. Or an even quicker one is photographing it with your smartphone. In both cases, what you will get is an image of the text, most likely saved under a raster format, such as PNG, JPEG or TIFF. In fact, the latter is often preferred by scanning and faxing devices due to its good quality rendering of text. But while being an accessible and flexible format, supporting both lossy and lossless compression, TIFF has one major disadvantage. Texts scanned under this format cannot be edited or searched. This might be a problem if, for example, you have a scanned book and need to look for a certain keyword. Or if you want to translate the scanned document via machine translation. The best solution in such cases is converting to a format that can be edited and searched — PDF. This entry was posted in Document conversion, Optical character recognition and tagged ocr, pdf, text, tiff on April 10, 2017 by reaconverter. 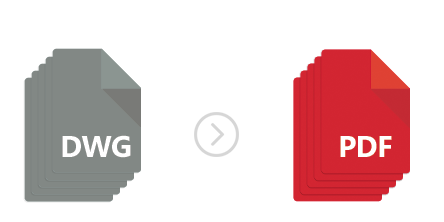 DWG is one of the most commonly used formats in the construction industry. Created in the 1980s as a proprietary extension of AutoCAD — probably the best known software in this business — DWG is perfect for storing design and geometric data, building project and sketches, detailed maps etc. So if you are an architect, engineer, designer or have another profession connected to constructions, you probably use this format a lot. Though extremely practical for storing detailed representations of building details, DWG files have the downside of being extremely large and offering a relatively limited compatibility with other software. That’s why most professionals in the industry choose to convert DWG vector files to PDF — which offers significantly wider accessibility options — when sending them to clients or partners who don’t have AutoCAD installed, for example. If you are one of those professionals who need to handle a large number of DWG to PDF conversions on a regular basis, we have some great news for you! reaConverter offers a handy solution that helps avoid repeating the same set of operations over and over again, thus saving time and effort. Using the Watch Folders feature, you can now automate your conversions in no more than 4 easy steps. This entry was posted in Document conversion and tagged automation, dwg, pdf, watch folders on October 24, 2016 by reaconverter. When preparing one or more PDF documents for print on a device that uses the Printer Command Language, converting to PCL is be the best solution. Compared to PDFs, PCLs files are faster to print and generally offer better accuracy for both fonts and graphics. PCL files are created for a particular printing hardware and shape the image data so as to best fit its requirements. This makes the printing process work quicker and generally be more effective. Though initially created only for Hewlett-Packard printers, PCLs are now widely supported by many other brands as well, being considered a de facto printing standard, together with PostScript (PS). This entry was posted in Document conversion and tagged PCL, pdf on October 19, 2016 by reaconverter. Comparing the quality of an image you see on a computer monitor with the one of its printed version might often leave you disappointed, especially if you are using a regular home printing device. Whether it is a PDF, a JPEG or TIFF, the problem persists. The image that looked bright and clear on your backlit screen somehow became faded and darkened once it came out of your printer. This entry was posted in Document conversion and tagged cmyk, pdf on August 23, 2016 by reaconverter. DWG is a proprietary format of AutoCAD — probably the most popular software for drafting 2D and 3D models in the construction industry. Widely used by engineers, architects, designers and other professionals in this branch, the DWG extension is also compatible with several other computer-aided design programs, including IntelliCAD or Caddie. Most CAD programs offer users 2 types of drafting environments. One is “model space”, where a draft model is initially sketched according to a defined representation scale, and the other is “paper space”, to which users can switch to when preparing a model for printing. The latter allows you to create several layouts, offering different views of the model. Multipage DWG files can contain both “model” pages and “paper” pages. This entry was posted in Document conversion and tagged dwg, multi-page, pdf on May 20, 2016 by reaconverter. The PCL (Printer Command Language) format was first used in the 1980s by Hewlett-Packard inkjet printers for creating digital copies of printed documents and developed in time as an industry standard. It now continues to be used by various models of printers, including laser-jets. Files with this extension are somewhat similar with PostScript (PS), though they offer less features and are more difficult to open. This entry was posted in Document conversion and tagged automate, PCL, pdf, watch folders on March 22, 2016 by reaconverter.